Hello! I hope you have had a lovely week. A Season of Grace by Lauraine Snelling will be available on November 6. It is the third book Under Northern Skies series. High Crimes by Libby Fischer Hellmann releases on November 10 and A Seat by the Hearth by Amy Clipston will be out on November 13. Seances are for Suckers by Tamara Berry is the first installment in A Eleanor Wilde Mystery series. Eleanor “Ellie” Wilde makes a living with her business Eleanor’s Cleansing Service. She cleanses houses of ghostly spirits or at least that is what she tells her clients. Ellie has learned that many things can cause the noises (from rats to noisy pipes), but to satisfy the client, she must put on a show. While Ellie’s brother, Liam does not approve of how she makes a living, it does pay for Happy Acres Sanctuary where their catatonic sister resides. After finishing her latest job, Ellie is ready to head off to two weeks in Mexico when she is approached by Nicholas Hartford III. Nicholas does not believe in ghosts, spirits or goblins, but his mother is convinced their ancestral estate is haunted by a mischievous spirit named Xavier. Nicholas wants Ellie to find out what or who is behind the various incidents, take care of the problem and then convince his mother that Xavier has moved on. Ellie arrives in England ready to tackle her new job, but she is unprepared for eccentric Hartford family, the worn dorm room furniture in her bedroom and the lackluster food served in small quantities. She begins her assignment by getting to know the Hartford clan, poking around the house and investigating the local museum. Xavier is proving to be a challenge which Ellie thrives on. Things get tricky when she stumbles upon a body in the kitchen which vanishes by the time Ellie returns with help. Ellie will need to pull out all the stops if she is to unveil the entity behind the illusive poltergeist. 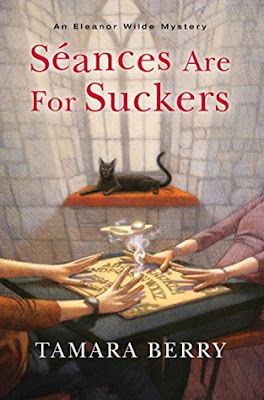 Seances are for Suckers is a comedic tale. You will find yourself laughing your way through this spirited cozy mystery. Ellie was not one for academics. After an auto accident when she was eighteen which resulted in her mother’s death and putting her sister in catatonic state, Ellie needed to find a way to earn good money. Her flair for the dramatic plus her practical nature along with an eye for detail combined into Eleanor’s Cleansing Service. People seem to believe in a supernatural cause for their problems over a practical one. Ellie takes care of the problem (rats, bats, noisy pipes, and problematic house cats) and then puts on a show for the client to eliminate the vexing apparition. Ellie is a smart, plucky woman who loves her family and her job. Nicholas is handsome, intelligent, level headed and wise to Ellie’s ways of eliminating problems, but he admits that she comes highly recommended and always leaves a satisfied client. I especially enjoyed Nicholas’ droll wit. He has some great lines in the book. 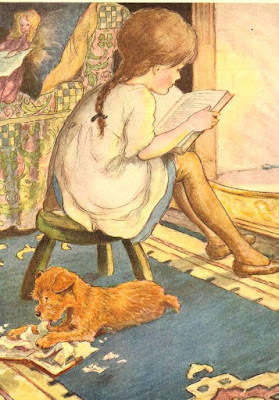 The author took the time to develop the characters. Rachel, Nicholas’ niece, is entertaining and provides a different perspective. She also gives Ellie with some needed intel and a sidekick along as food is provided (the mother’s cooking is abysmal). The story is told from Ellie’s point-of-view and her train of thought (practical insights) provide many laugh out loud moments. The mystery is complex and multi-faceted with red herrings, multiple suspects and unexpected twists. However, avid cozy mystery readers will have no problem solving this ghostly whodunit. This book has romance, quirky characters, a charming village, an ancestral estate, humor, spooky elements, and a puzzling mystery which have been combined into one entertaining cozy mystery. I am giving Seances are for Suckers 4 out of 5 stars. I look forward to Ellie’s next phantasmal adventure. Thank you for reading my review today. 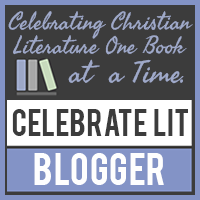 I am going to feature The Light Before Day by Suzanne Woods Fisher tomorrow as part of the Celebrate Lit Tour (there will be a giveaway). I hope you will stop by and check it out. I hope you have a whimsical day. Take care and Happy Reading!